6th Annual Home & Garden Expo for Relay For Life | Hey Girlfriend! One of the events in SL I look forward to with much eagerness and anticipation each year is the Home & Garden Expo. This years event is well underway, having began last Friday, and will continue thru this Sunday, June 2. There is so much to see and do at the Expo, it’d be best to head on over ASAP and check it out. I know that’s what I’ll be doing as soon as I log in after having had to be away with RL since last week! 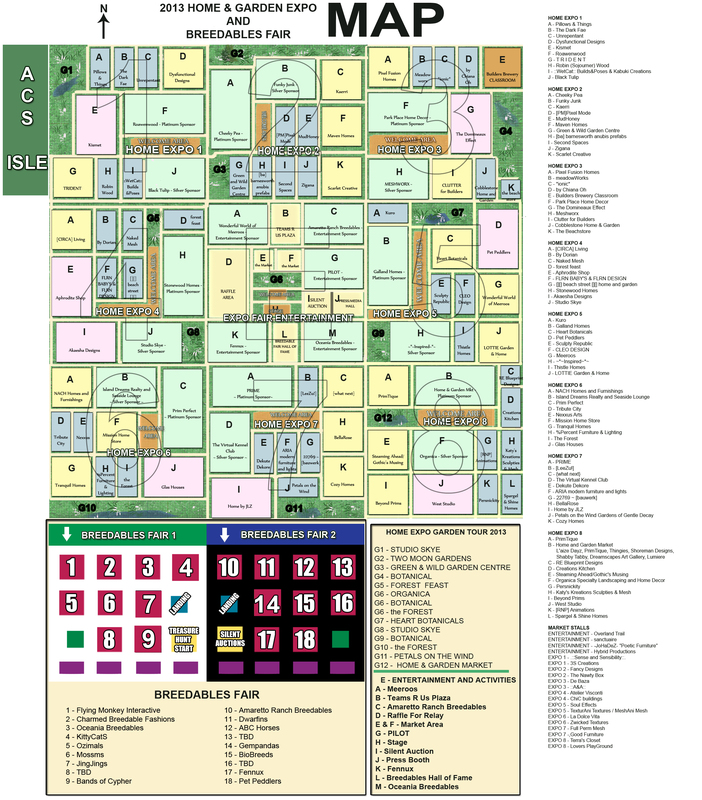 You do not have to be a land or home owner to enjoy the Home & Garden Expo. You can find classes to take to get you started in building, breedable vendors to help you find a pet to share love with and of course, you can wander and dream of living in these beautiful homes in RL! There is even a hunt if you are a hunt lover like me! There is sure to be something for everyone there. Two Moon Gardens is a shop that is new to me, and am sure I’ll be visiting their mainstore soon after seeing their beautiful set up at Expo. Their offering for RFL is this beautiful Cherry Blossom Garden scene. It is modable too, which is a plus for me, as I can slide bits around to fit my land space just right. Organica, a long time favorite of mine, has some gorgeous tulips specially colored in purple and orange for RFL, you wont want to miss these either. I’ve scattered a few around the bench that comes with this set from Two Moon, which incidently, comes well stocked with couples and singles poses. I’ve included a map which should help you get around, as well as some important links. Prepare for lag, always a good idea for any event, it will make your experience much more enjoyable. Allow plenty of time, and do not delay, as you just may find yourself spending a lot more time then you anticipated at the Expo. Have fun, enjoy the scenery, get some new things, and help a great cause, you can’t go wrong! I am sure I will be spending the bulk of my SL time there over the last days, I do hope to see you there!